Now entrepreneurs, businesses, and agents of social change can easily and sustainably grow nutritious produce for their communities — with Tower Farms. 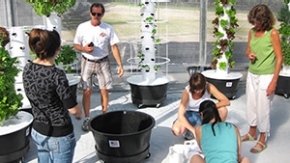 Tower Farms growing systems are designed to flourish in urban environments. And that means you can farm within the community you feed to solve the problems of local food availability and quality. 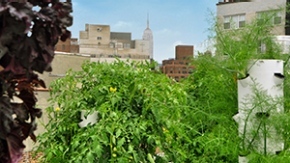 With Tower Farms, farmerpreneurs often grow in unconventional places — including rooftops, warehouses, restaurants, and more. 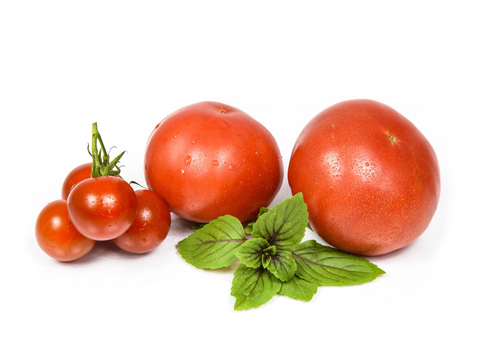 This allows them to deliver fresher, higher-quality produce to customers. 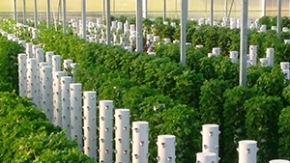 With Tower Farms, you can grow up to 30% more food, 3x faster — while saving up to 90% more space and 98% more water compared to traditional growing methods. Plus, there’s no digging, weeding, or watering. No previous farming experience? No problem. (In fact, most Tower Farmers don’t have agricultural backgrounds.) With our robust resources, low interest financing, and your own dedicated representative, you’ll be growing like a pro in no time. From solo entrepreneurs to massive organizations — such as Google and NASA — Tower Farmers come in all shapes and sizes. But we’re united by one goal: change the future of food. Ready to grow a better world — and a healthy profit?